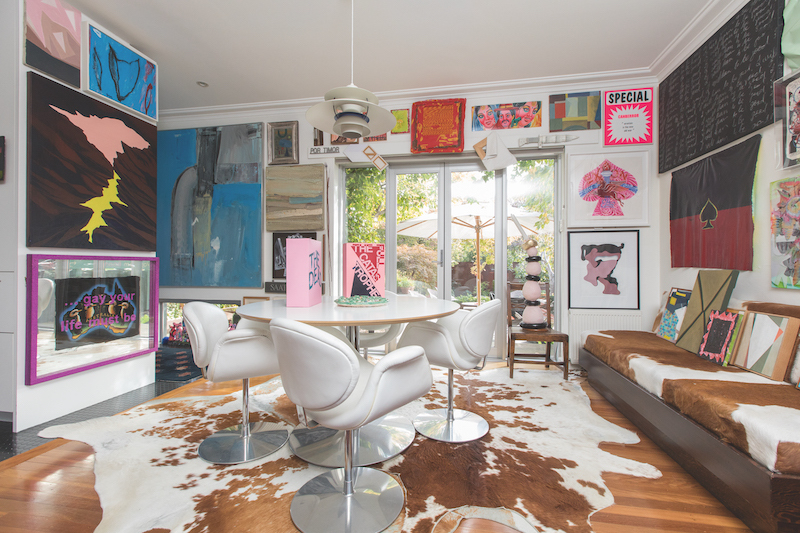 The home of Karina Harris and Neil Hobbs begs only one question: What is not art? 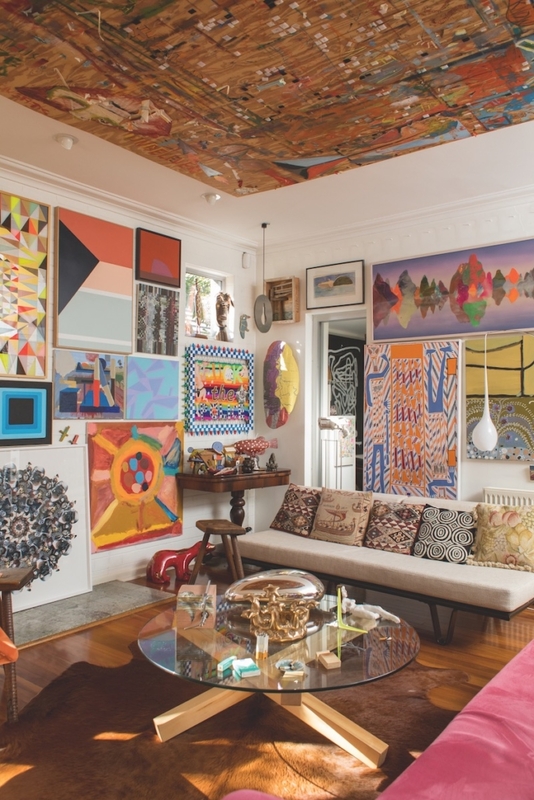 There is little delineation between Karina Harris and Neil Hobbs’ home and the Harris Hobbs collection itself. Every wall in every room (bathroom included) is clad edge-to-edge, from skirting to top, and sometimes ceiling too. 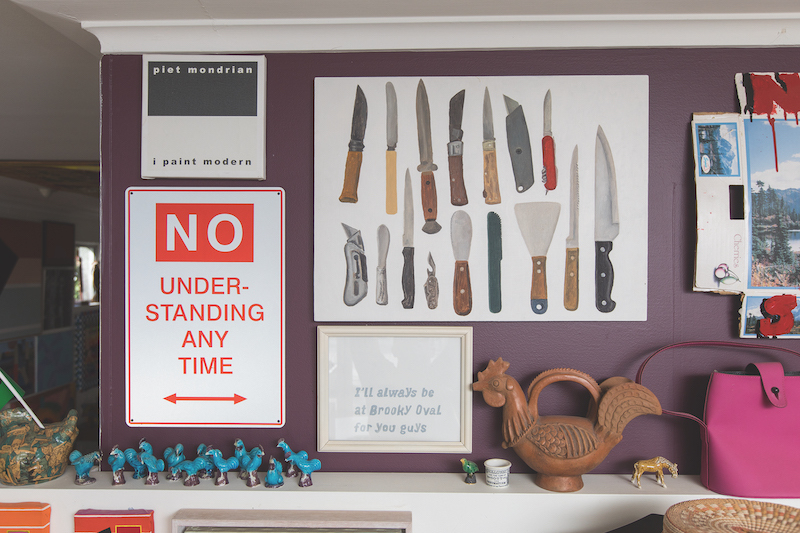 Works of all sizes and mediums create a thrum of colour and texture. 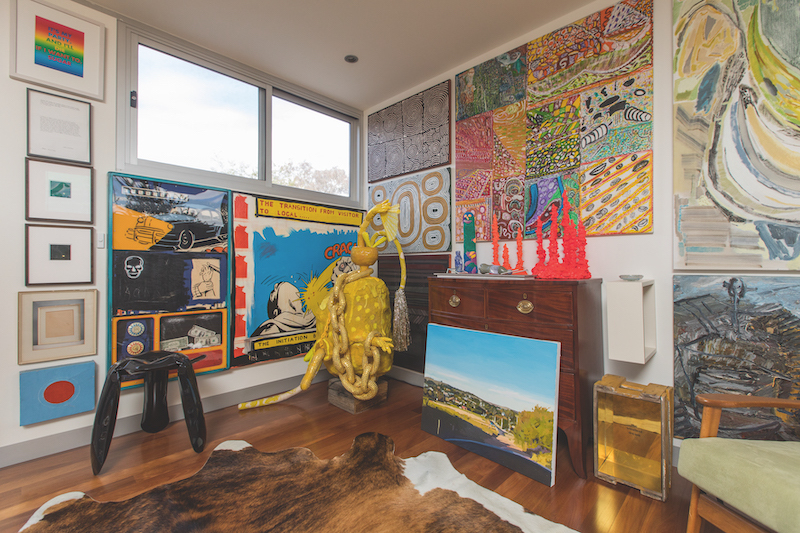 Shelves, coffee tables and plinths host clusters of sculptures and other three-dimensional curiosities. “Is this a coaster?” I have to ask, poised hovering my cup of tea above the side table. When a space is as drenched with artworks as this, the question is: what is not art? The collection extends into the garden – the garden an artwork in itself. Both Harris and Hobbs are landscape architects, working together from their home-based firm. Text features heavily within the dialogue of plantings, surfaces and sculptural works, in masonry and neon. This fondness for text is prominent throughout works in the wider collection, as is a predilection for ceramics and a sort of outsider or arte-povera aesthetic. Not discriminating on artist status, the collection holds everything from pre-eminent names to the most emergent student and relative unknown. The pair are evenly matched in their dedication. Both were raised in collecting homes, growing to see the prolific acquisition of art as a natural and obvious occupation. When I visit they are in the process of working through receiving a number of items from Neil’s late father, Michael Hobbs – an avid collector and long-time supporter of the arts. 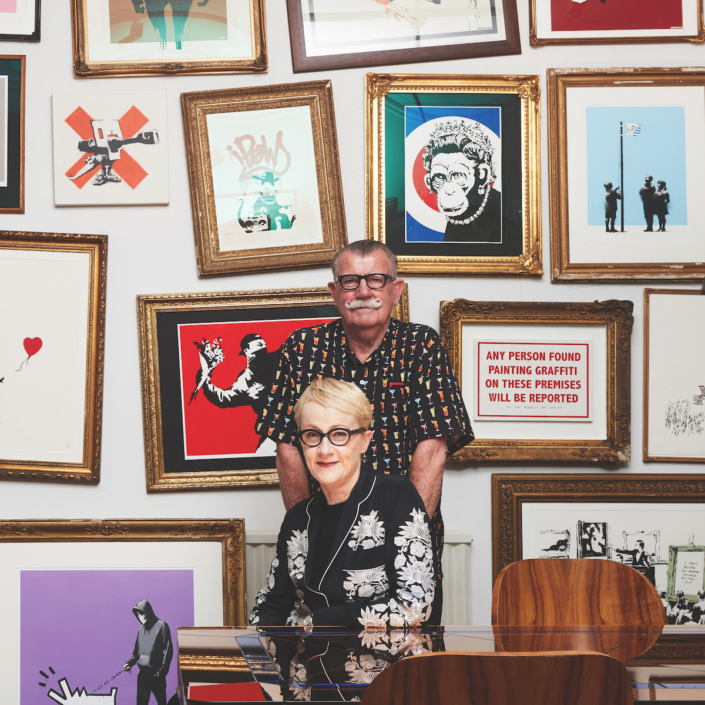 Collecting together since the 1980s, Harris and Hobbs are deeply engaged with the artists and communities in which they work. Ever-proactive, they travel widely to see new work, and traverse more widely still online. They lend works frequently. 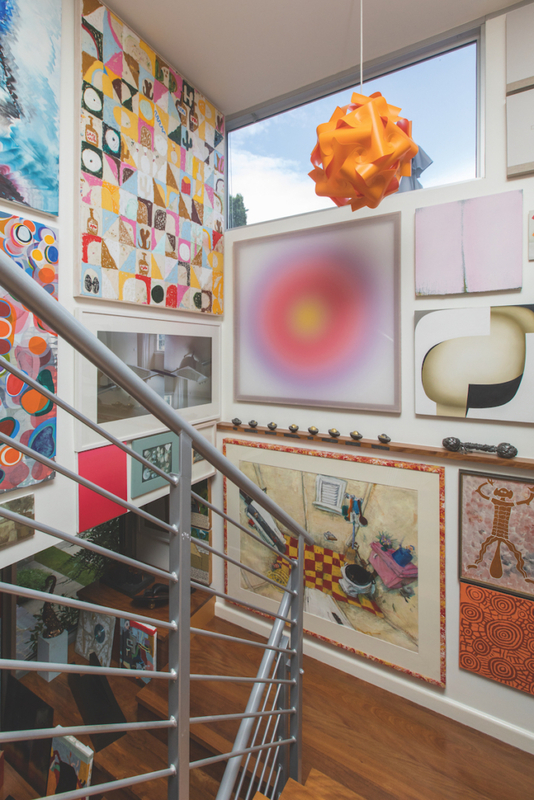 Incredibly, Harris reveals that they have met almost every artist whose work they have acquired, and stay in touch with many, placing high value on a genuine and ongoing personal connection. “Artists are just such wonderful people,” she says. In recent years they have been exploring a curatorial space via the biennial public art project Contour 556, which presents site-specific sculpture, installation and performance works around the shores (and in the water itself) of Canberra’s Lake Burley Griffin. Hobbs conceptualised the project as a part of his current PhD, investigating how artwork influences space, and how it effects the memory of those passing through. With Harris, he is now working to realise the second Contour program this coming October. 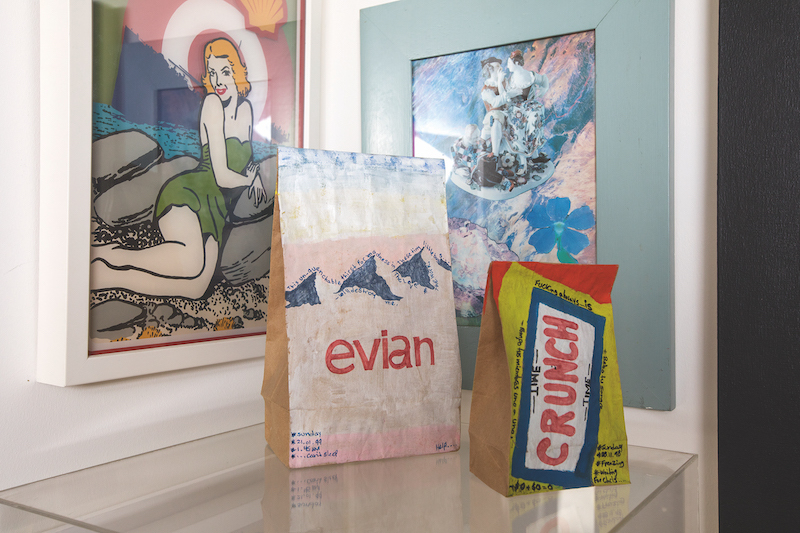 The project provides them with an avenue to support artists they admire at a scale and in experimental modes not viable through collecting alone. 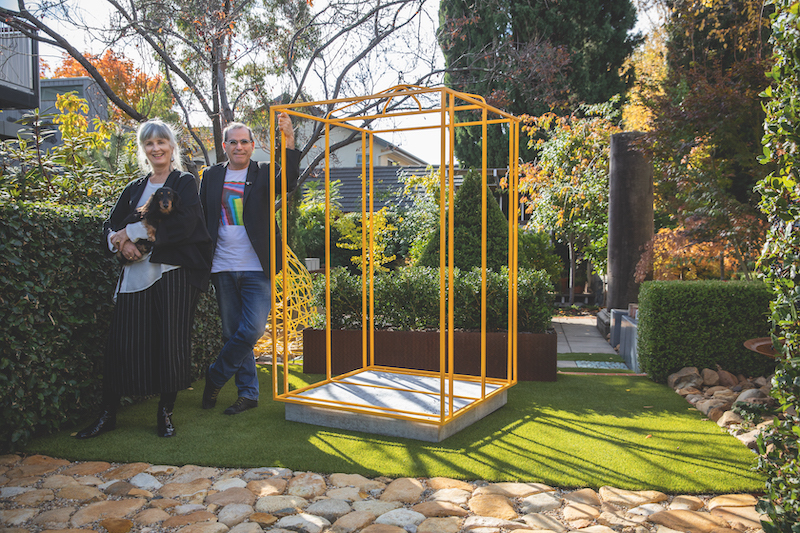 Canberra’s public spaces become an extension of their own backyard, and their artistic ethos. Yet Hobbs’ PhD topic is perhaps as applicable within the context of their own home – to the domestic sphere and everyday living. 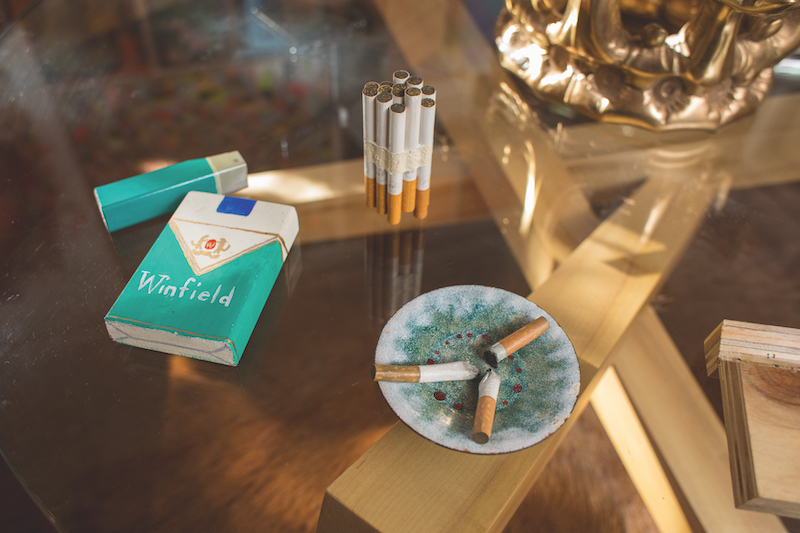 Here, art is intended as something to inhabit, or as Harris says, to “pass through every day, all of the time”. It’s a space in which one will never be done seeing, a rare enveloping of expression that is energising and celebratory. This article was originally published in Art Collector issue 85, JUL-SEP, 2018. 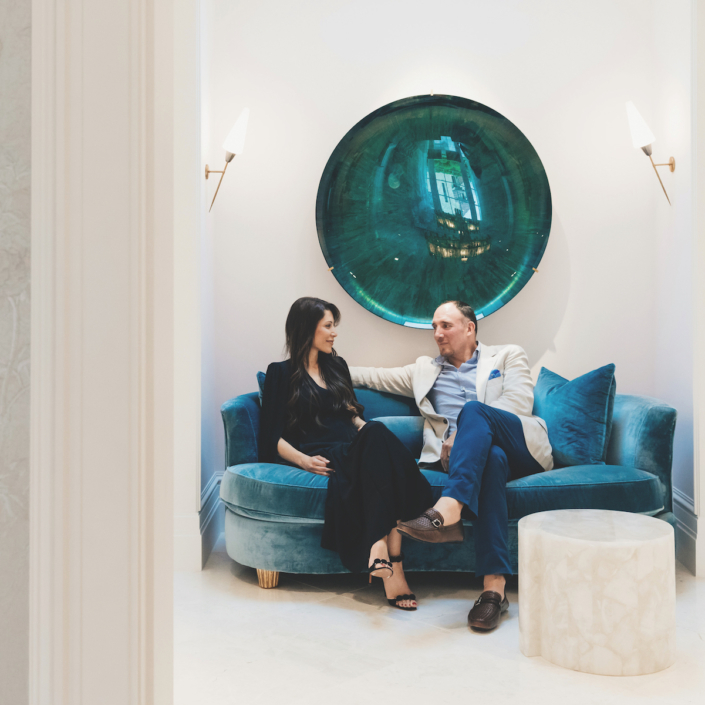 For both Tarabay and Langley, art has been a way of staying connected with the world despite busy careers. It’s enough to make the conservative art collector shudder. 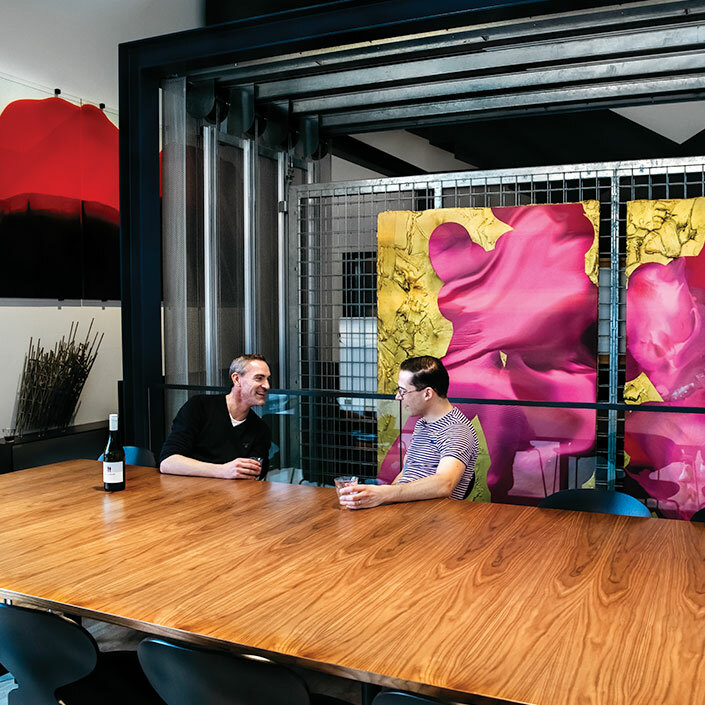 The double-sided, moveable art racks rotating throughout the internal floors of Peter Wilson and James Emmett's Sydney warehouse tell but a part of a life story fuelled by art.